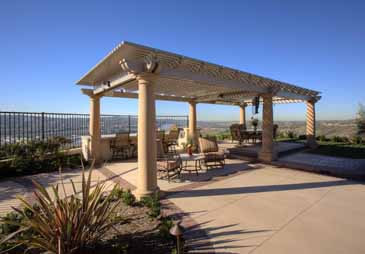 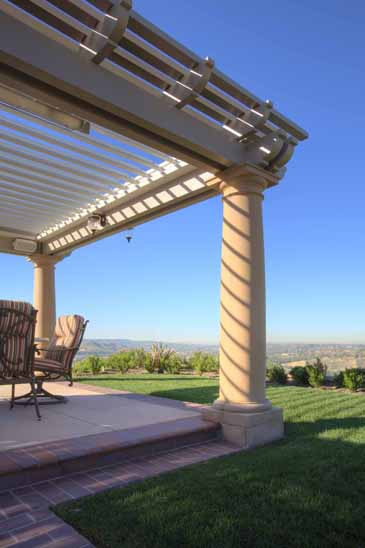 Check out this gorgeous free-standing Elitewood and Louver Patio Pros combination cover. 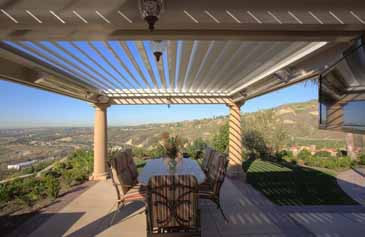 One of a kind install with lattice perimeter all around and Louver Patio Pros louvers to protect the table and dining area. 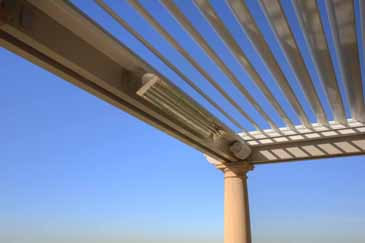 Heater coupled with the louvers in this area allows the roof to close with remote to keep the heat in.